Copy of a letter from Bindman and Partners – Application for Legal Aid to take over the case from the trial solicitor’s Mellor and Jackson. We write further to previous correspondence with Mr Gibson and further to the Perfected Grounds of Appeal dated 10th September 1993, lodged on behalf of the Appellant, which should be read with this letter. Over the past few weeks we have received from Messrs Mellor and Jackson, Susan May’s trial solicitors, the bulk of the most relevant paperwork in this Appeal. 2. Further to Mr Gibson’s letter to us dated 7th January 1994, we also apply for there to be a postponement before the Appeal is placed in front of a Single Judge until we have had the opportunity to instruct the forensic expert. Forensic evidence lies at the heart of this appeal. The reasons are set out in the Perfected Grounds of Appeal. In short Dr Basely, the prosecution forensic scientist, gave evidence at trial that stains in exhibit MSN/14 were “human blood but [he] was unable to identify from whom it came". If further forensic tests show that the blood was not that of the victim, then it will be submitted on the Appellant’s behalf that “the main plank" of the prosecution evidence may have been “flawed" (see the Perfected Grounds). Accordingly, it is essential for those instructed by Ms May to obtain “all the original blood samples from the prosecution for further testing, together with notes of the forensic scientist" (see Mr Gibson’s letter to Ms May dated 7October 1993). If the results of the further forensic tests conducted on behalf of the Appellant are “as anticipated" (ie favourable to the Appellant) then “the Court will be invited to give leave to call that additional evidence under section 23 of the Criminal Appeal Act 1986" (para 4 Perfected Grounds). The first question the Court of Appeal will ask of the Appellant’s legal team is why the forensic evidence was not available at Ms May’s first trial. There appears to be no reason for this. Mellor and Jackson were fully aware of the significance of this evidence. 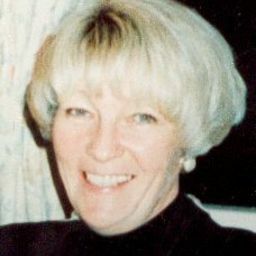 In a report dated 29 March 1993 (one month before the Appellant’s trial) commissioned by the Defence from the UK Forensic Science Services Ltd, Mellor and Jackson were advised that “…it will be alleged that the fingerprint on the bedroom wall were in blood and inferred it was the deceased’s blood…". This is confirmed by the Prosecution Case Summary, prepared by Mr Christopher Melton, who establishes that “the Prosecution case is that the marks were made by the Defendant shortly after she killed the deceased". Indeed Defence counsel, Charles Garside advised on the 19th November 1992 that “Ms May’s defence can only be conducted properly if those who represent her are able to evaluate properly the significance of the expert evidence". No new evidence or information came to light from the date of the Appellant’s conviction, on 5th May 1993 to the date Mellor and Jackson were reminded of the importance of challenging the prosecution forensic evidence by Dr Ross in his letter to them dated 13th May 1993. There will be, to put it at its very lowest, some criticism of Mellor and Jackson for failing to prepare defence forensic reports before the Appellant’s trial. Having discussed this with our proposed Appeal Counsel, Mr Michael Mansfield QC, we submit that it would be quite impossible for the Appellants Appeal counsel to be instructed by her trial solicitors. b. Failure to obtain reports post-conviction. Mellor and Jackson’s conduct of the Appellant’s case, post-conviction, is equally open to criticism. In your letter to the Appellant dated 7th October 1993, you quite rightly agreed with counsel’s advise that Defence tests ought to be carried out on the disputed exhibits and that those tests ought to be carried out with one eye on the prosecution forensic scientist’s notes and, implicitly, procedures. Mellor and Jackson have failed to do this. They have failed to obtain the scientist’s notes. Despite having come to the conclusion that “all the indications [they] have… is that further tests are possible" (letter dated 11th October 1993), they have failed to instruct an expert to examine the disputed exhibit. They have only approached two forensic laboratories (Cellmark and Forensic Access) in their search for a defence expert. When these two laboratories informed Mellor and Jackson that they were unable to carry out the desired tests, Mellor and Jackson took the extraordinary step of (s) disclosing defence reports to Dr Basely, the prosecution forensic scientist, to carry out the further tests himself. Such conduct on behalf of the Appellant is at the very least ill-advised and at most actionable. In any event, they can no longer properly act for the Appellant. Further obvious steps in the preparation of the Appellant’s case for trial, which could have been taken, were not. For example, the Appellant had no previous convictions, and by all accounts was a well-respected pillar of the community. She had her own hair-dressing salon in the village which became a community focal point. She worked, for several years, at the local school helping the children. Indeed the school’s headmistress, Joyce Hoggard, acted as the Appellant as surety. The Appellant had been caring for her elderly mother and elderly aunt – who was the murder victim – for up to 10 years and was respected for her careof the aged generally. It is difficult to conceive of a case in which character evidence, and in particular, evidence of a Defendant’s love of and care of her family, friends and the infirm, was more crucial. We are advised that “umpteen" locals – including the many supporters who have now formed the vigorous support group “The Friends of Susan May" – could have given evidence on behalf of the Appellant. However, at her trial, no character witnesses were called (indeed no proofs of evidence were obtained). Only the Appellant and Katy, her daughter (on issues of fact) gave evidence. This cannot have been simply a tactical decision. It was a major error. A further ground of appeal appears not to have been fully investigated. The Appellant’s trial, at Manchester Crown Court, attracted a large number of local and national media coverage. Since her conviction the Court of Appeal the Court of Appeal gave judgement in the case of R v Michelle Taylor and Lisa Taylor [Times Law Reports June 15th 1993]. In that case the learned Judges held, following R – v – McCann [1992 Cr App R 239] that “the press coverage of this trial did create a real risk of prejudice against the defendants". Similar arguments could have been made in Susan May’s case. The reporting we have seen was, as in the Taylor’s sister’s case, sensationalist. Two particular angles of the reporting appear to have prejudiced the fairness of the trial. Firstly, the reporting lent credence to the suggestion that the blood found at the scene of the incident was the victim’s blood, spilt at the time of the murder (eg reporting such as “she left hand prints in her aunt’s blood on the …wall" (The Sun) and headlines such as Hand prints in blood ‘trapped killer niece’"). Second, the newspapers appeared to have sensationalised the prosecution argument – later discarded – that the Appellant killed the victim in order to inherit her money and support her younger male partner (eg headlines such as “Lover’s £140,000 Gifts to her Secret Toy Boy", Daily Mirror 22nd April 1993). Mellor and Jackson were alerted to this angle by the Appellant herself by letter dated 12th August 1993. These are at first sight grounds for appeal which appear not to have been researched by Mellor and Jackson, still less acted upon. It is quite apparent that there has been a total breakdown in confidence in Mellor and Jackson and the Appellant. We attach a copy of her authority dated 8th October 1993. Clearly in such an important case as this – where an Appellant faces life imprisonment if her Appeal is not upheld and where the grounds for her dissatisfaction with her original representation is not unfounded – it is important that the Appellant has the representation of her choice. For these reasons, we submit that the Appellant is entitled to fresh representation and that we should be allowed further time to prepare her appeal.